The e-commerce sector displays one of the fastest growing markets in Pakistan and is aiming to quickly climb global markets. Having started with Tohfay, a delivery service specialized in sending gifts to Pakistani residents from their family and friends or beloved ones around the world, the hype evolved quickly. New concepts, ideas and projects are entering the market, despite the technological constraints and economic conditions. A delivery service specialized in serving food, either to your home or office, from your computer, laptop, or even when being on the move via your smartphone, is called Foodpanda.pk. An online delivering website, that offers different cuisines from a long list of restaurants across Pakistan and therefore makes home delivery possible- even from restaurants that usually don’t offer home delivery. Currently the service can be used in four cities in Pakistan: Rawalpindi, Karachi, Lahore and Islamabad. Surprisingly the concept of ordering food online, has not been known very long in Pakistan, but offers a great opportunity for people that have to work late, are simply not in the mood for cooking or just cannot be bothered to go outside but still want to enjoy a lovely dinner. Pizza, burger, Italian, Chinese or Asian, as well as delicious food from well-known restaurants such as KFC, domino´s pizza or Rowtisserie, indexed by location, cuisine, price range and delivery hours. Restaurants delivering food via foodpanda ensure customers a high level of quality and delicious dining experience. It is a strong online tool that aims to provide a convenient, fast and delicious delivery experience available 7 days a week from 10 am to midnight. Expanding to new major cities and countries has been foodpanda’s main interest since its launch in the beginning of 2012. Ordering food online from your home or office, simply by one click, makes enjoying food, offering many different cuisines to choose from, never has been easier. 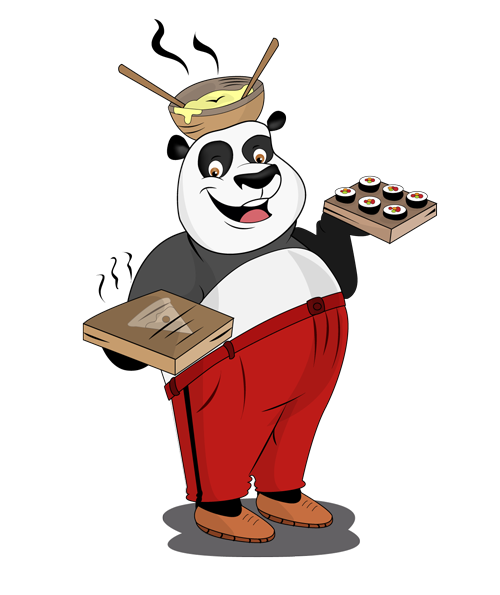 The foodpanda app allows you to order what you want, when you want (until 12 pm) from where you want, whether you are in the office, sitting at your sofa, or are on the run. The only thing you have to do is, download the foodpanda app, enter your postal code, decide for either a cuisine or a restaurant, choose one of the available dishes and wait for your order to be delivered right to your doorsteps. Even in situations, where you really have to rush with lunch or in-between two calls, foodpanda searches for the closest restaurant near you- your favorite dish is just one click away.